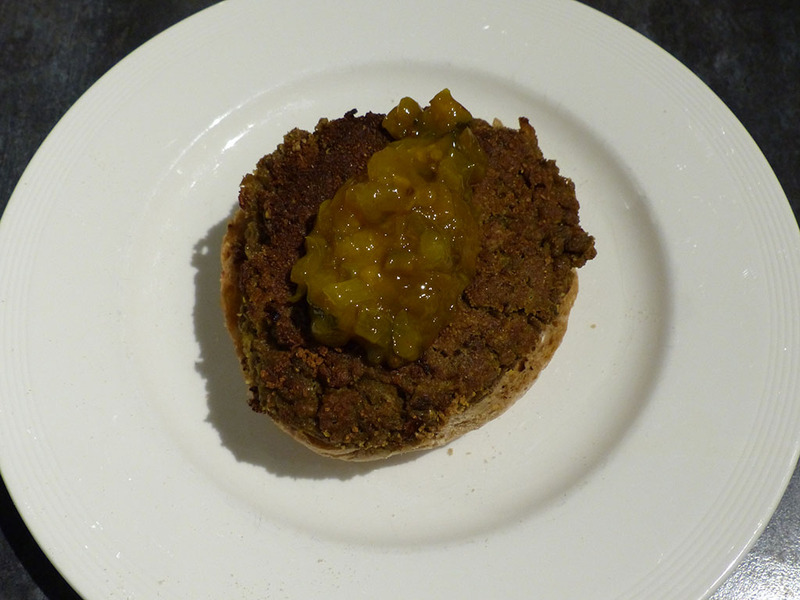 Spicy vegetarian burgers with (homemade) piccalilli. Soak the green lentils for at least 5 hours or overnight. Put in a large pan and add plenty of water, simmer gently for around 30-45 minutes or until soft. Heat 1tbsp of the oil and fry the onion and garlic for around 5 minutes. Stir in the spices and cook for another minute. Add this mixture to the cooked lentils, add the flour and the egg and mix thoroughly with your hands. If the mixture is too sticky add a little bit more flour, but don't overdo it. It's the right consistency when you can make burger shapes with the mixture. Fry the burgers in the rest of the oil until browned and set (the egg will make it set better). Serve with (gluten free) rolls or buns and (homemade) piccalilli. Please note that most shop bought piccalillies contain gluten. It's fairly simple to make your own however!